The iconic dish: It was hard to choose a single one. The restaurant has a set 8-course omokase (chef’s tasting menu) that changes monthly. 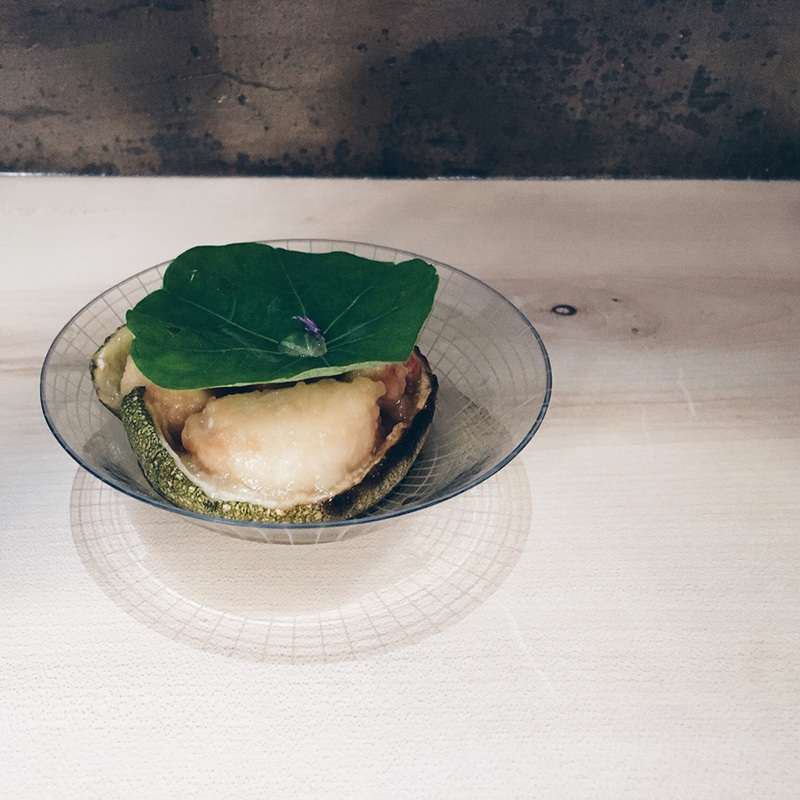 For the July omokase, Shiori served a zucchini blossom with pickled nectarines that was simply amazing. Inside the blossom was a delicious mix of squid and lobster that was a nice surprise for the taste buds. The speciality: they base their monthly changing menu on seasonal produce from around Berlin as well as some specialties from Japan. A must know: The restaurant only has 10 seats and does only one seating a night at 7:30. There are no individual tables, the seating is along a long counter that the chef cooks behind. You must book in advance and be on time as each course is served to everyone at the same time. The service is very personal and attentive, which is a breath of fresh air for Berlin.